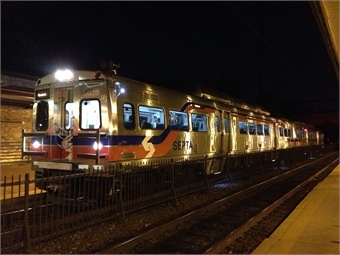 PHILADELPHIA — SEPTA’s Regional Rail commuters had to deal with modified schedules, bypassed stops and crowded trains on Tuesday after 120 Silverliner V trains were removed from service to fix a structural defect, the Philly Voice reports. For the foreseeable future, Regional Rail lines will run on a modified Saturday schedule after the Silverliner V trains — a third of SEPTA's fleet accounting for about 13,000 seats — were taken out of service after inspectors found a defect in the suspension system. For the full story, click here.